And he did it by shaving two letters of an economics term. His comment kind of snuck under Trump's armour. Steph Curry is the best basketballer in America right now. He's been MVP of the NBA the last two years running. If you don't know your sports, those two acronyms add up to one word: awesome. 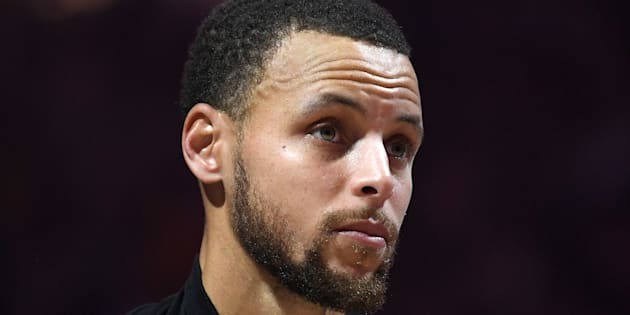 But Curry just called U.S. President Donald Trump a much less complimentary word that also starts with the letter "a". Here's how that happened. Curry is sponsored by apparel company Under Armour. When he switched over from Nike back in 2013, it was all rather a big deal. But Curry appears to be at loggerheads with Under Armour CEO Kevin Plank, who is a big fan of President Trump. 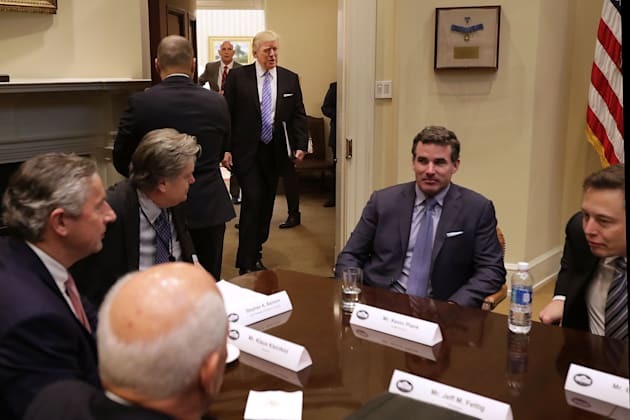 That's Kevin Plank in the purplish tie facing the camera as President Trump enters the room. In an interview on CNBC this week, Plank talked about a meeting he'd had with the President. He said Trump, from a business perspective, was "an asset" to the country. "I agree with that description -- if you remove the 'et' from asset." For now, Curry stays sweet with the logo to his right. And Curry? Well, he's still sweet with Under Armour. You can read his full response to Under Armour's statement here. Again, here's one particularly nice bit. "If I can say the leadership is not in line with my core values, then there is no amount of money, there is no platform I wouldn't jump off if it wasn't in line with who I am. So that's a decision I will make every single day when I wake up. If something is not in line with what I'm about, then, yeah, I definitely need to take a stance in that respect." 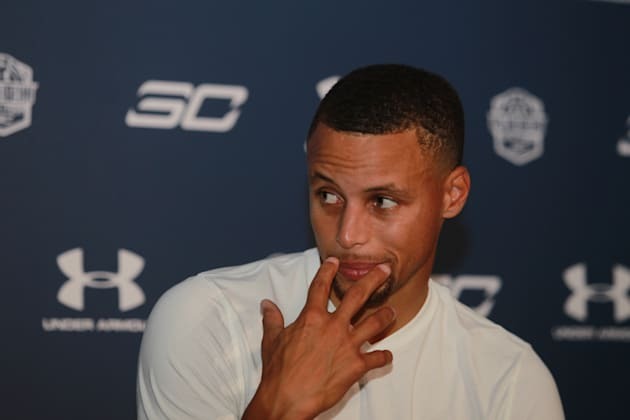 Curry's contract with Under Armour runs all the way until 2024.